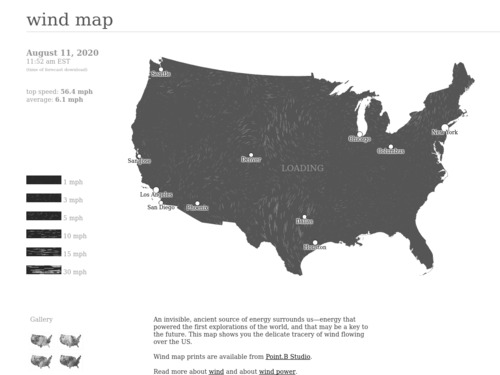 This map shows how much electrical power is produced from wind in each state from 1999 through 2010. 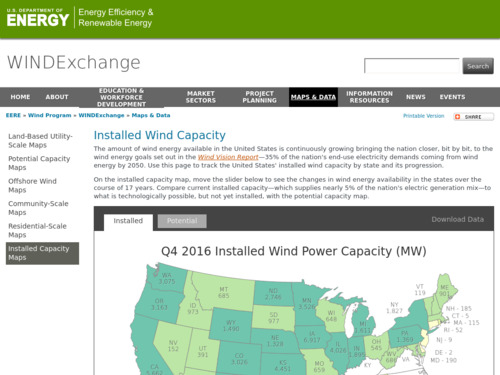 The animation shows a general increase in the amount of wind power produced per state and the number of states producing it. 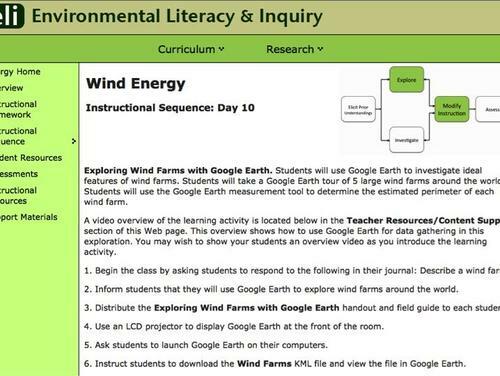 In this activity, students use Google Earth to investigate ideal features of wind farms. 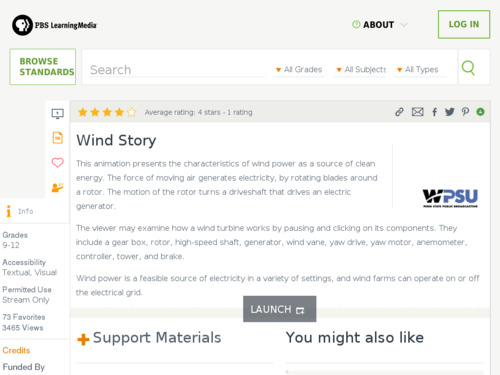 In this hands-on engineering activity, students build a tabletop wind turbine. 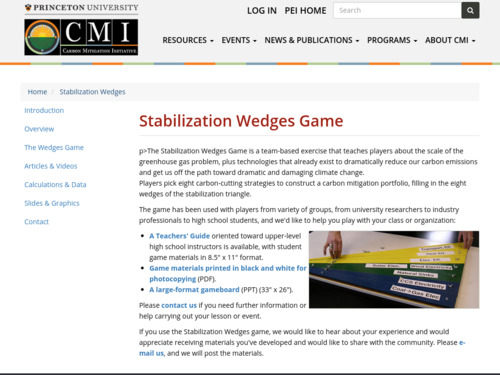 Students get acquainted with the basics of wind energy and power production by fabricating and testing various blade designs for table-top windmills, constructed from one-inch PVC pipe and balsa wood (or recycled materials). 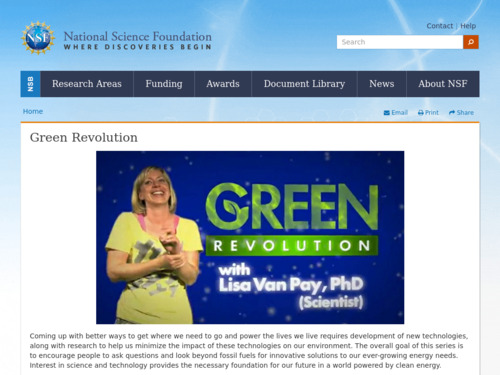 The activity includes lots of good media and web resources supporting the science content. This animated map shows prevailing surface wind direction and strength across the lower 48 states of the US. 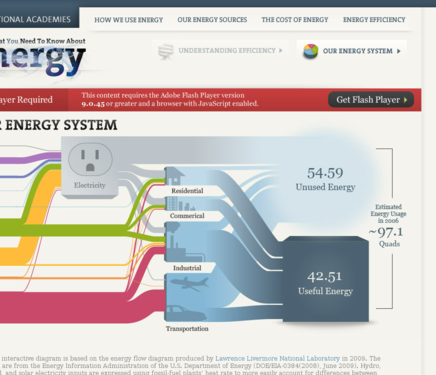 This interactive diagram from the National Academy of Sciences shows how we rely on a variety of primary energy sources (solar, nuclear, hydro, wind, geothermal, natural gas, coal, biomass, oil) to supply energy to four end-use sectors (residential, commercial, industrial, and transportation). 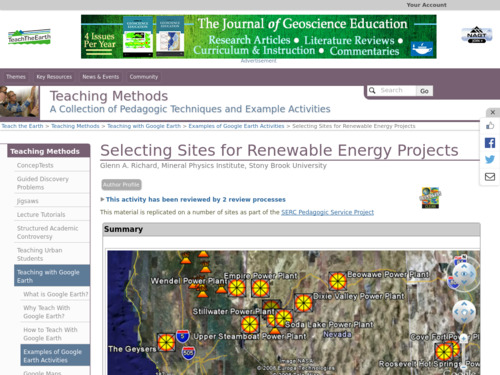 It also focuses on lost or degraded energy. 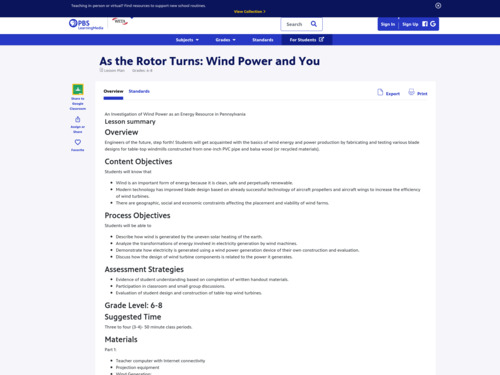 This activity is a learning game in which student teams are each assigned a different energy source. 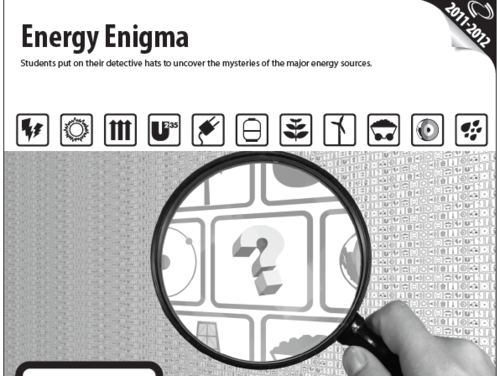 Working cooperatively, students use their reading, brainstorming, and organizational skills to hide the identity of their team's energy source while trying to guess which energy sources the other teams represent.